Image for Kamen Rider Zi-O Ryuki Ride Armor Revealed! 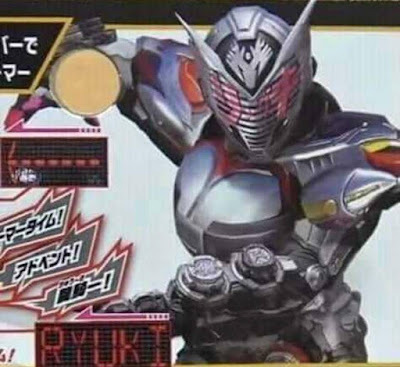 Here's our first look at kamen Rider ZI-O's soon-to-debut Ryuki Ride Armor that uses the power of Kamen Rider Ryuki! Nice touch on the Dragvisor as the shoulder armor/pauldron and we can also see ZI-O performing Ryuki's Final Vent pose! Still no news about Ryuki and Knight's actors if they will return to reprise their roles but we have recently seem them in the CSM V-Buckle promo! This looks better than Ryuki's original suit (for me it is the worst main Rider outfit).